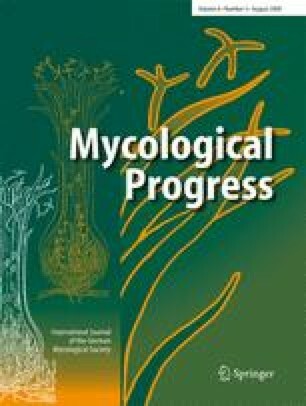 Armillaria cepistipes and A. gallica (Basidiomycota, Physalacriaceae) are morphologically similar species, and they are often nearly indistinguishable using DNA-based methods targeting the ITS region of ribosomal DNA. The aim of this study was to examine morphological and ecological features of A. cepistipes and A. gallica, and to test other DNA-based methods to distinguish the two species. Our results revealed discriminative macro- and micromorphological features between these two species, especially the presence of a distinct central pileus ocella, the shape of the annulus, the character of the velar stipe remnants and the length of the terminal cells of the pileus scales. Ecologically, A. gallica generally prefers warmer areas in lowlands (oak and alluvial forests), while A. cepistipes is more common in hilly and lower montane beech forests in Central Europe. Nevertheless, despite differences in ecological preferences, certain locations between 300 and 500 m a.s.l. are known to sympatrically support both species. The sequences of the translation elongation factor 1-alpha showed high interspecific variability, and this gene is a more appropriate candidate for distinguishing A. gallica from A. cepistipes. These studies were supported by the Czech Science Foundation (project no. 526/05/0086) and by the Ministry of Education, Youth and Sports, project no. MSM 6215648902.